The Tea FAQ is devoted to answering all your questions about the many varieties of tea, its history, as well as information about related tisanes (herbal infusions). Considered one of the “seven necessities of life,” tea is a popular and surprisingly sophisticated drink. While to most people, tea is a simple beverage, comforting and flavorful, digging deeper, one discovers a rich lexicon devoted to the properties of the approximately 380 varieties available. To the causal drinker, this may seem daunting, however the purpose The Tea FAQ is to inform without overwhelming. We seek introduce the complexity of the tea to everyone in a simple yet comprehensive language so even someone new to tea (can this be?) will have all their questions answered without being besieged by the density of information. 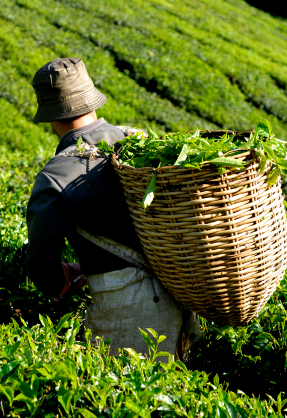 Tea has a rich history, tremendous variety, and is enjoyed throughout the world, and the maintainers of The Tea FAQ aims to answer questions from both the basic and advanced tea drinker. Due to the variety of types and styles, tea can be as subtle or complex as a fine wine, and while a simple cup can be an enjoyable experience without being studied, there is much about tea that may still be unknown to many drinkers. At The Tea FAQ we will highlight what makes a simple product such a popular and nuanced drink as welll as offering recipes, historical information, legends, and information about the health benefits of this unique beverage.